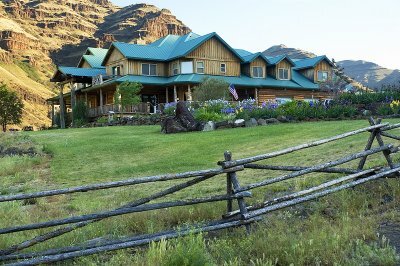 The Imnaha River Inn BNB is located in a unique part of Northeast Or. With in a short drive in either direction from our place you can experience looking into the deepest part of Hells Canyon along the Drive to the Hat Point look out there are plenty of things to see, in the other direction you can drive to the Nature Conservancy and check out the wildlife such as Elk and Deer, Wolves, Coyotes and it is spectacular for Bird watchers, and Wild Flower enthuseists.If drive down river which would be North from the BNB it is excellent fishing for Steelhead, Trout, Bass, and in July Salmon and on the drive you most likely will see Big Horn, Deer and maybe a Bear or two. Or you can just kick back and enjoy the beauty and peacefulness from our deck and listen to the river flow by. There are eight bed rooms to chose from and a hearty breakfast is included.